The first undisputed Queen Of Rock ‘n’ Roll, an immensely versatile singer who dreamed of singing classy pop ballads only to find herself caught up in the rock maelstrom where she became the biggest female star of her era and so defined its primary style that she was dubbed Miss Rhythm. Ruth Weston was born in 1928 in Virginia and was a featured vocalist in her church by the time she was six and at ten years old was making the rounds of nearby parishes to perform. In her mid-teens she began singing at a USO Club for soldiers and won first prize at The Apollo Theater’s Amateur Night competition, wowing the audience so much that they had her sing her song a second time. At 16 she left home and became a professional singer, soon partnering with an ex-solder and trumpet player named Jimmy Brown whom she then married. She took his name, and kept it after they broke up a short time later, and was hired by famed bandleader Lucky Millinder where she was little more than an understudy for their primary female lead, Annisteen Allen. When Brown finally got to sing in Washington D.C. and went over well she was immediately fired by Millinder after he saw her bringing sodas to the band members, telling her he hired a singer, not a waitress, leaving her stranded in the nation’s capital. Taken in by Blanche Calloway, sister of the legendary singer Cab Calloway, who ran a local nightspot called the Crystal Caverns, Blanche hired Ruth to sing for thirty dollars a week to earn enough to pay her way home. In short order Brown caught the attention of disc jockey Willis Conover who tipped off Atlantic Records, still just a minor label struggling to pay the bills, and they signed her to a contract in the fall of 1948. While driving to New York to make her first professional appearance at The Apollo and to cut her first records she was in a near fatal car crash, breaking both legs, injured so badly she was initially pronounced dead on the scene. After being hospitalized for months she went to her first recording session in April 1949 on crutches and a month later recorded what would be her debut release “So Long”. Released that summer it was a Top Five hit. 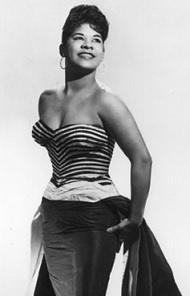 Brown’s style had been in a pop vein and her next few records swung between pop standards and tentative rock numbers, but when Rudolph Toombs wrote “Teardrops From My Eyes” for her in the waning months of 1950 the dye was cast, as she sang the heavily rhythmic song with a catch in her voice that became her trademark. It became the biggest rock hit by a female artist (11 weeks at #1 on the R&B Charts) in the 20th Century. For the next decade there were few artists, male or female, who could match her success as Brown scored four more #1 hits among her twenty-one Top Ten smashes. She became the first female headliner in rock, often appearing with her steady boyfriend, tenor sax great Willis “Gator” Jackson, although it was a brief fling with fellow Atlantic star Clyde McPhatter that led to the birth of a son in mid-decade. Her success during this time propelled Atlantic Records from fringe player in the music industry to the most successful independent label of the 1950’s, leading to Atlantic being dubbed “The House That Ruth Built”, a play on the same term that had been used to describe Yankee Stadium which was constructed during Babe Ruth’s reign as America’s greatest sports figure. Despite this unrivaled success Atlantic cut Brown loose in the early 1960’s as they were wrestling with the musical changes going on around them at the time and viewed her as past her prime, something which seemed to be proven true when she failed to revive her stagnating career at several stops, even with some quality records to show for it. By the end of the 1960‘s was reduced to driving a school bus and working as a domestic to make ends meet, barely able to afford rent and she often went without electric or heat. Her life and career began to turn around in an unlikely way in the mid-1970’s when old friend, comedian Redd Foxx, the star of the monster television hit Sanford & Son hired her to appear on his show. More than twenty years earlier, struggling mightily, Foxx went to Brown with hat in hand asking for help. She was on top of the world at the time and told her friend to help himself to whatever he needed from the three thousand dollars she’d just been paid for a show. He took $450, enough to get back on his feet, and now was repaying her with interest. As a result of this exposure she got several acting jobs including a co-starring role on a short-lived weekly series and began doing live shows again, gradually re-building her brand and appearing everywhere from Las Vegas to Europe. Brown then switched to theater, starring in a number of well-received shows and eventually starring on Broadway in Black And Blue for which she won a Tony Award. 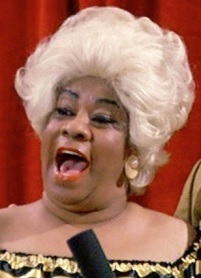 She topped things off with a scene stealing performance in the John Waters cult movie Hairspray as the eccentric rhyming record store owner, Motormouth Maybelle. Her greatest achievement during this period however came when she successfully challenged Atlantic Records for past royalties which not only hadn’t been paid in a quarter century but the company said during that time her total sales for countless reissues amounted to all of $785 and that she still owed them money from the expenses of recording those songs in the fifties. 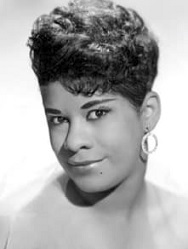 Caught in a lie too big to evade, their disgraceful plantation practices exposed in the media, and under threat of indictment under the RICO act which would embroil them as racketeers, the last of the “original” independent labels that had dominated rock ‘n’ roll on the back of singers like Ruth Brown were forced to pay in very public fashion. The deal brokered resulted in the establishment of the Rhythm & Blues Foundation which was set up to alleviate the financial burdens of other artists ripped off by these companies for decades. Brown’s career revival was in full force by this point as she won her first Grammy in 1990, nabbed another award for her autobiography Miss Rhythm, and was inducted into The Rock ‘n’ Roll Hall Of Fame in 1993, giving her one of the more remarkable third acts in rock history. When she passed away in 2006 at the age of 78 she had just recorded a song for a movie soundtrack and was still touring regularly, her decade as rock’s greatest female star only a portion of her immense legacy.